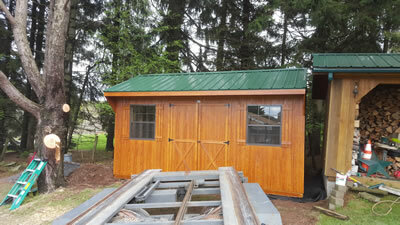 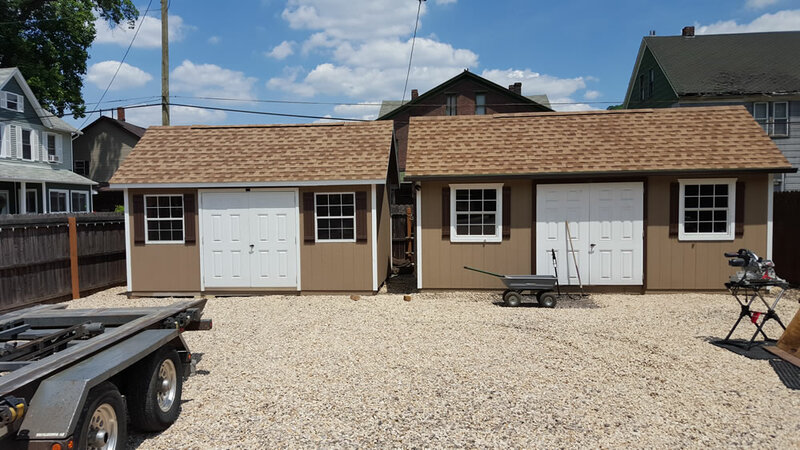 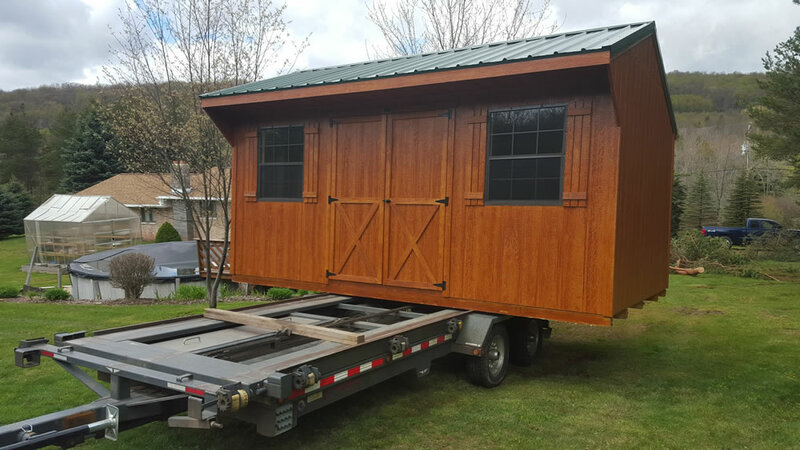 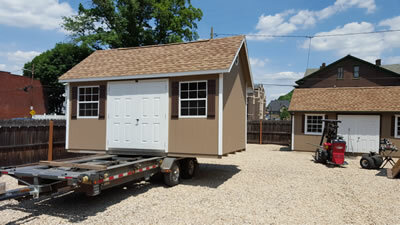 Storage Sheds and Garages are delivered with 4 Wheel Drive Truck with custom build shed hauling trailers. 14' Wide Buildings (also 12' Wide Quakers and 12' wide Horse Barns) $6 per Mile. Permit for Maryland and West Virginia $50 each state for loads wider than 10'. 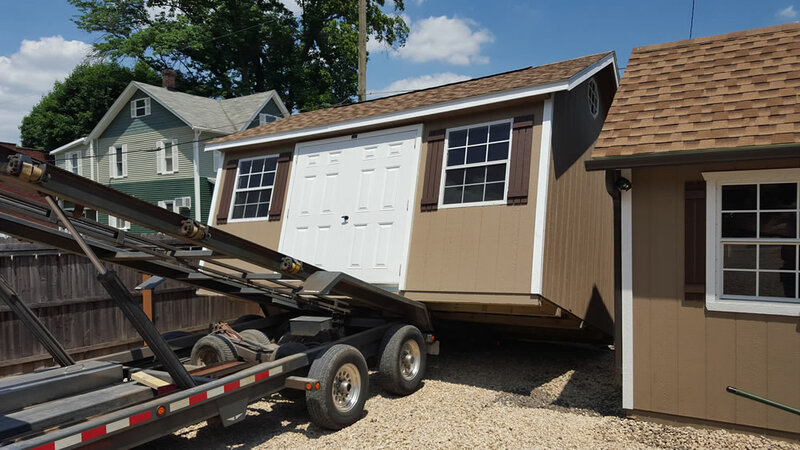 Pennsylvania oversize load permits included with cost of building. Email info@shawneestructures.com or call for quote on delivery to your address. Buildings 10x16 and smaller can be spun 1/4 turn on truck and than loaded off rear of trailer.